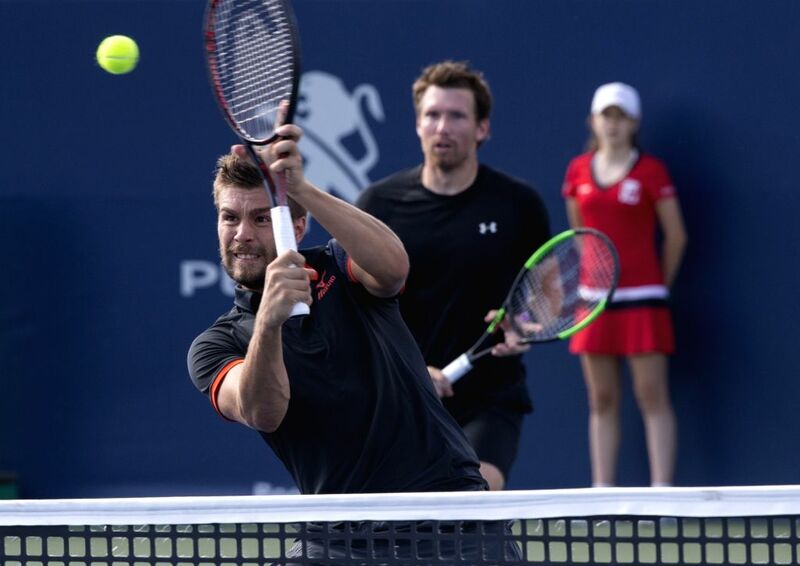 TORONTO, Aug. 11, 2018 - Nikola Mektic (Front) of Croatia and Alexander Peya of Austria compete during the quarterfinal match of men's doubles against Novak Djokovic of Serbia and Kevin Anderson of South Africa at the 2018 Rogers Cup in Toronto, Canada, Aug. 10, 2018. Nikola Mektic of Croatia and Alexander Peya of Austria won 2-0. 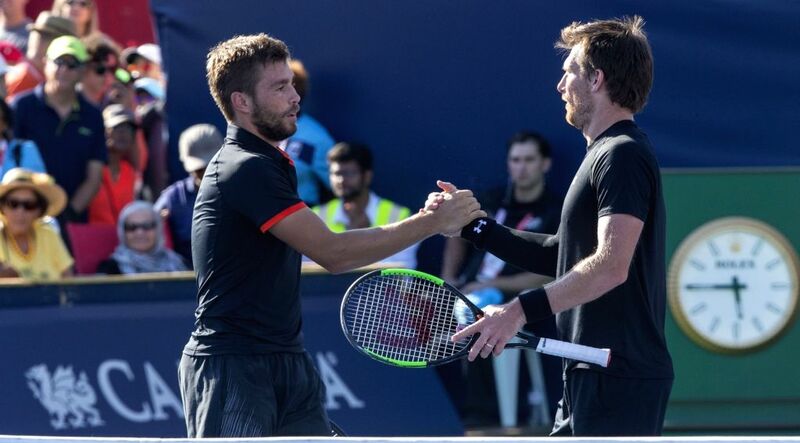 Nikola Mektic (L) of Croatia and Alexander Peya of Austria celebrate victory after the quarterfinal match of men's doubles against Novak Djokovic of Serbia and Kevin Anderson of South Africa at the 2018 Rogers Cup in Toronto, Canada, Aug. 10, 2018. 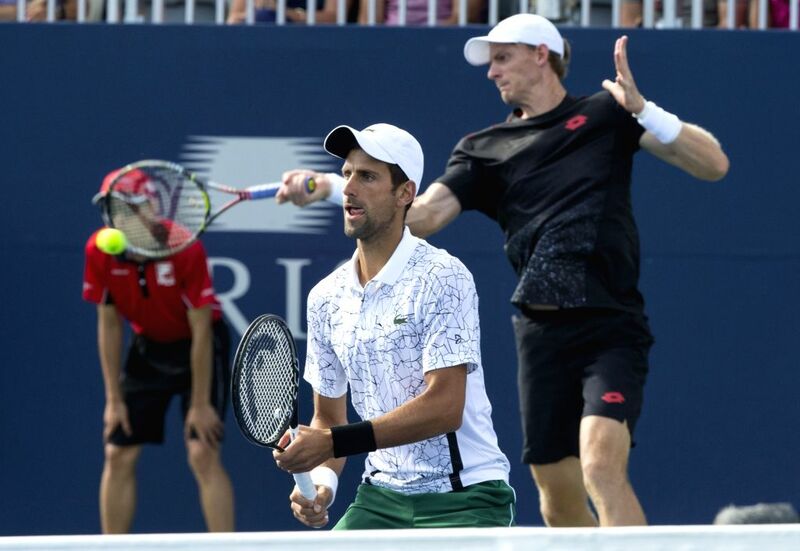 Novak Djokovic of Serbia and Kevin Anderson of South Africa lost 0-2.Novak Djokovic of Serbia and Kevin Anderson (Front) of South Africa compete during the quarterfinal match of men's doubles against Nikola Mektic of Croatia and Alexander Peya of Austria at the 2018 Rogers Cup in Toronto, Canada, Aug. 10, 2018. 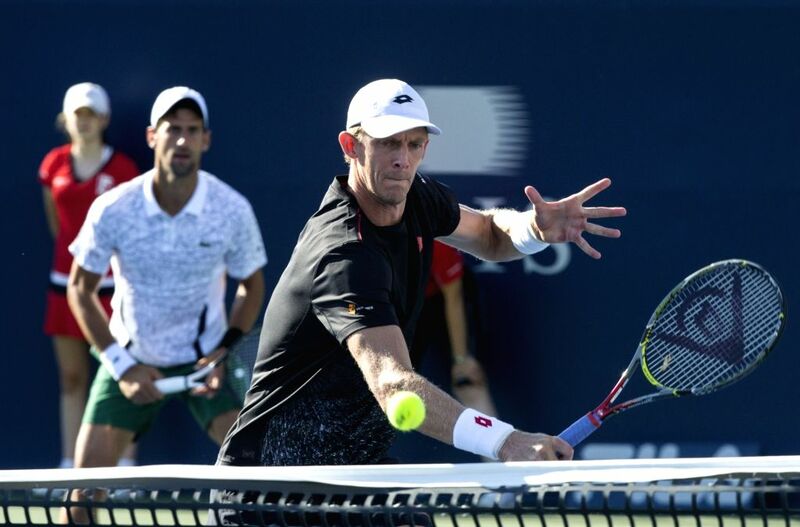 Novak Djokovic (Front) of Serbia and Kevin Anderson of South Africa compete during the quarterfinal match of men's doubles against Nikola Mektic of Croatia and Alexander Peya of Austria at the 2018 Rogers Cup in Toronto, Canada, Aug. 10, 2018.